"My strong offshore regulatory and title background allow me to identify often overlooked potential issues in a client’s transaction, so we have time to come up with a workable solution together in advance of critical target dates. No one wants to find out after closing that the deal won’t work as planned due to unanticipated regulatory agency requirements and procedures." 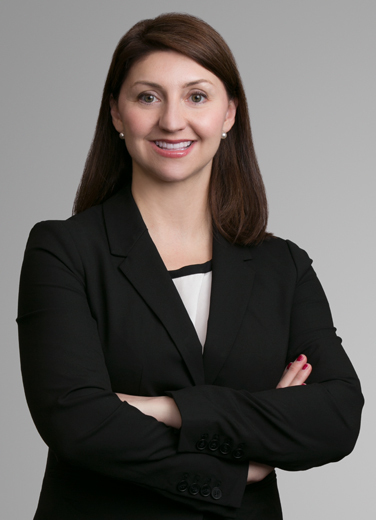 Collette Gordon is a Houston-based lawyer sought by the region's energy industry for sophisticated transactions, complex regulations and difficult disputes involving the Outer Continental Shelf and onshore in Texas and Louisiana. She has earned a well-regarded reputation with E&P and midstream companies for oil and gas acquisitions and divestitures, energy-related contract drafting, onshore and offshore title examination, leasing, right of way and pipeline issues. As a condition to emerging from bankruptcy, a prior OCS operator was required to resolve certain outstanding claims asserted by the BOEM and Bureau of Safety and Environmental Enforcement (BSEE). Collette engaged with BSEE on behalf of the entity to negotiate a significant reduction in the over $80MM in decommissioning costs assessed against the client based on a review of the agency’s files regarding facility status. After the client emerged from bankruptcy, Collette worked with BOEM to update the client’s BOEM qualification file, allowing it to formally execute and file documents, such as assignments and changes in designated operator, with the agency. She also guided the entity through BOEM’s financial assurance/bonding requirements and Oil Spill Financial Responsibility (OSFR) demonstration to ensure entity compliance with the applicable regulations. Provided guidance to and drafted all necessary documentation for clients to become qualified with BOEM to hold OCS mineral leases and rights-of-way, and to subsequently acquire, operate, and divest these assets in accordance with BOEM and BSEE regulations and internal requirements. Performed extensive due diligence and drafted title reports covering approximately 100 OCS leases being acquired by large independent client to advise on title defects in a transaction valued at in excess of $2 Billion. Examined title to mineral rights in the Louisiana Haynesville Shale area and provided advice to clients regarding curative materials. Advised a pipeline company on negotiating pipeline rights-of-way and servitudes, including expropriation rights under Louisiana law. Acquired regulatory approval from the Department of Justice and the Federal Trade Commission under the Hart-Scott-Rodino Act for the sale of offshore assets. Attained regulatory approval from the Committee on Foreign Investment in the United States under the Exon-Florio Act in connection with the sale of oil and gas assets to a domestic subsidiary of a foreign controlled entity. Represented the seller in a billion-dollar offshore asset divestiture, including negotiation of purchase and sale agreement, drafting assignment forms and related regulatory forms, and evaluating title defects asserted by purchaser. Collette also has extensive experience helping clients comply with the regulations that govern oil and gas exploration and production on the Outer Continental Shelf. This includes working with the Bureau of Ocean Energy Management, a part of the Department of the Interior which oversees offshore leasing and development, and the Bureau of Safety and Environmental Enforcement, which oversees OCS pipeline rights-of-way and decommissioning. "I'm keeping my eye on the financial assurance changes being promulgated by the BOEM, something that is sure to have a big impact on oil and gas transactions." Collette also analyzes and drafts oil and gas Joint Operating Agreements (JOAs), including related production handling agreements, and advises clients about the perfection of grants of mortgages and security interests contained in the JOAs.